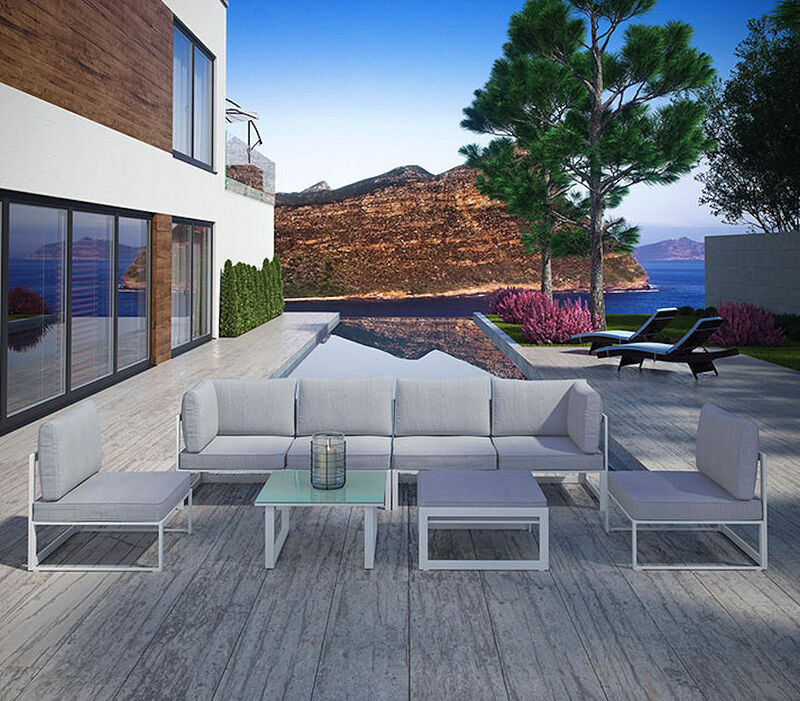 $ 1,950 - Fourtuna 6-piece outdoor sofa set as shown with frame in White and cushions in Grey fabric. Made of powder-coated aluminum with all-weather polyester cushions. 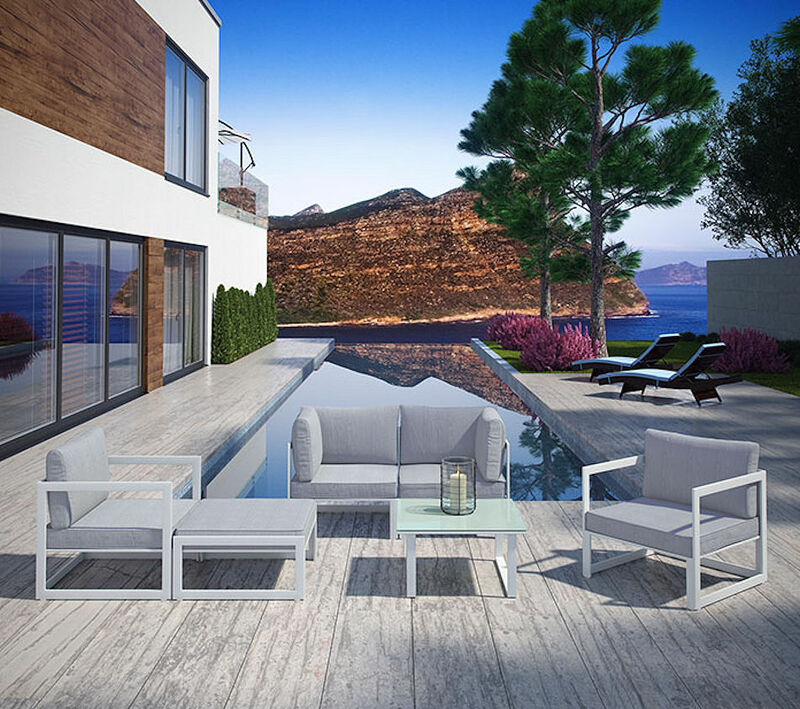 $ 2,450 - Fourtuna 8-piece outdoor sofa set as shown with frame in White and cushions in Grey fabric.